This was the bribe I paid for the girls to try hard and finish swimming lessons. It just projects a rainbow onto the ceiling or wall, but for some reason (probably because we love Rainbows and everything girly, sparkle-y, or unicorn-y (and yes, that's a word in my world) around here. 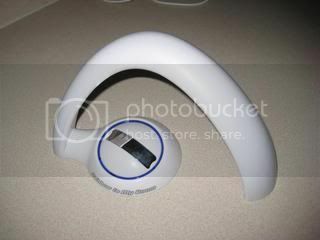 It has been appearing in many a play scenario. Pretty cute. Surprisingly, they enjoyed this more than I thought they would. 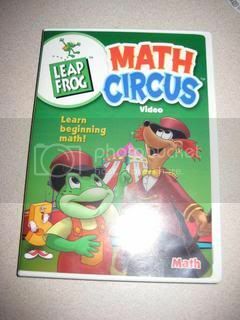 We also like the Letter Factory DVD by Leapfrog. This is such a cute series. Simple and funny. We enjoy them so much that I purchased the Elephant (who also goes by Gerald) and Piggie stuffed animals and much acting out of the stories has commenced. We're huge Mo Willems fans. 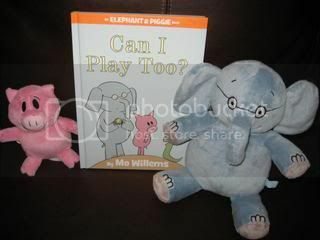 Love the Elephant and Piggie books, not to mention the Pigeon and Knuffle Bunny! Hey Robert! Good to see a Dad around here!